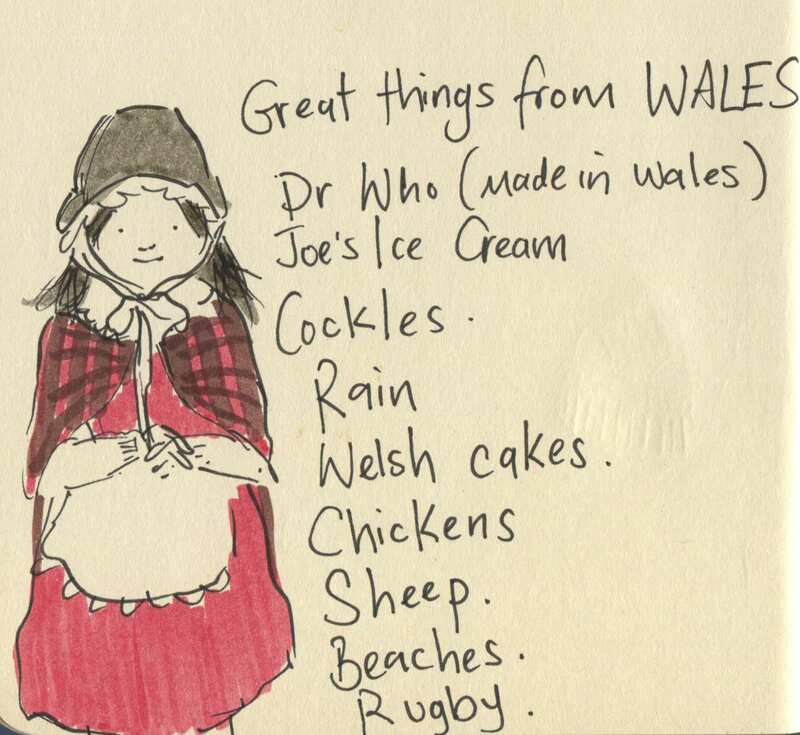 The kids have compiled our list of the best things about Wales. Can’t fault them! Posted on March 1, 2015, in Uncategorized and tagged Children, Doodlemum, Drawing, Family, Humour, Illustration, Life, Pen and Ink, Sketchbook, St David's Day. Bookmark the permalink. 12 Comments. Then he is a very lucky man! I have to drive to get mine! The English invented Rugby. The Welsh made it beautiful. Oh she loves wearing her Welsh costume. I think there will be a few more years of her wearing them. Gruff didn’t want to wear his shirt at all and Millie has to wear her school uniform anyway.